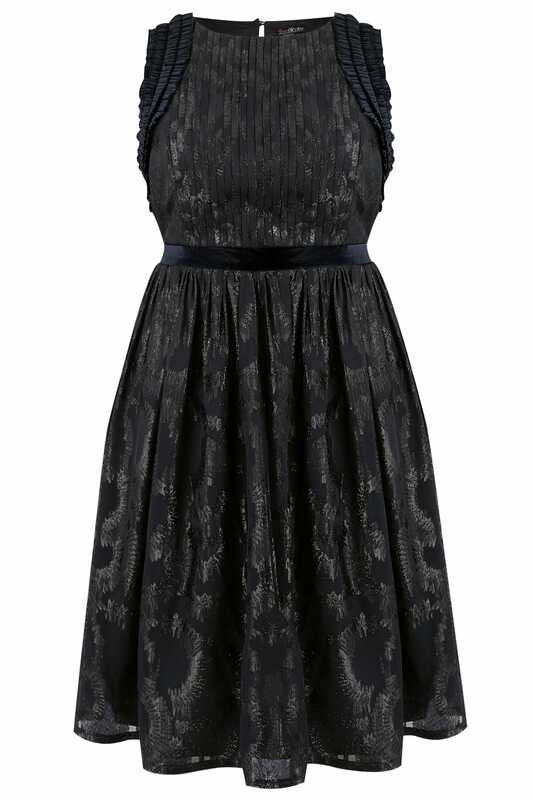 Get instant style impact with this navy textured dress from Lovedrobe. 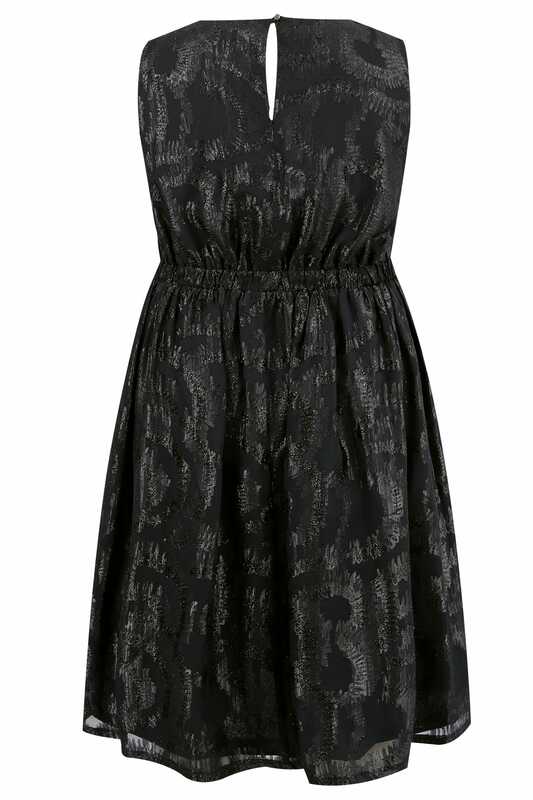 In a classic skater style, it features velvet ruffle details, a textured metallic fabric and pintuck detailing to the chest. Perfect for this party season, team with a pair of heels and a box clutch for understated style.